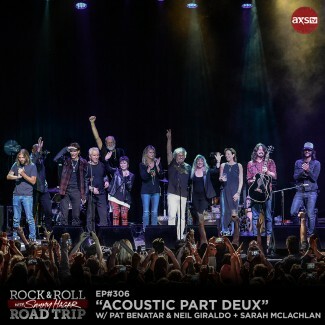 As well as Eddie Money Trying Out a New Song Dedicated to His Wife on Real Money, and the Premiere of the 2015 Concert Film The Life & Songs Of Emmylou Harris: An All-Star Concert Celebration! Los Angeles, CA (May 10, 2018) – AXS TV, the premier destination for classic rock programming, salutes some of music’s hardest working women with a star-studded Sunday Night Rocksblock packed with profiles, performances, premieres, and more on May 13 starting at 8 p.m. ET/5 p.m. PT. The celebration begins with back-to-back episodes of the acclaimed music documentary series Rock Legends, compiling rare archive footage, classic performances, and interviews with noted music critics to give views an insightful and in-depth look at the unparalleled careers of punk rock pioneers Blondie at 8pE, and nine-time Grammy-winning folk songstress Joni Mitchell at 8:30pE. 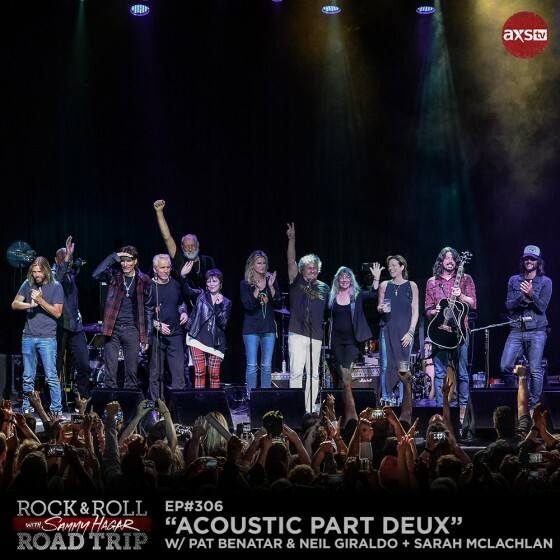 Then, on Rock & Roll Road Trip With Sammy Hagar at 9pE, the episode features acoustic performances from icons Pat Benatar & Neil Giraldo, and Sarah McLachlan, followed by Eddie Money’s unveiling of the heartfelt song he wrote for his wife, Laurie, in an all-new episode of Real Money at 9:30pE.